heliosolaire offers you the full range of Panasonic solar panel are equipped with an innovative technology of the combination of two types of monocrystalline and amorphous photovoltaic cells which allows outstanding yields up to 19%. Compared to conventional crystalline silicon solar cells, cells with HIT technology provide high energy efficiency, even at high temperatures. Panasonic solar panels also achieve excellent performance under adverse light conditions thanks to their anti-reflective glass. The power of Panasonic hit monocrystalline photovoltaic panels equipped with 96 photovoltaic cells is available up to 330 Wc, the Panasonic photovoltaic panels are equally well designed for applications connected in solar power plant or in photovoltaic project on large roof. Thanks to its 96 cells, the Panasonic HIT photovoltaic module is the ideal solution for any solar power plant project with limited space. Accompanied by a 25-year linear power guarantee, HIT Plus photovoltaic modules can generate a return on investment faster than conventional modules on your solar power plant project. HIT_Double_2251.pdf The Panasonic solar module of the N225 series are monocrystalline and amorphous bifacial photovoltaic modules equipped with HIT technology, designed for carports, shades or facades in architectural integration in the frame. This Panasonic solar module is a real technological and innovative asset for any solar project. Equipped with 72 monocrystalline and amorphous photovoltaic cells available in 225 Wc. 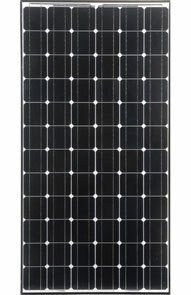 VBHN245_240SJ25_ol_NEW.pdf The Panasonic solar module of the Slim series N240 and N245 are monocrystalline and amorphous bifacial photovoltaic modules equipped with HIT technology, designed for carports, shades or facades in architectural integration in the frame. This Panasonic solar module is a real technological and innovative asset for any solar project. Equipped with 72 monocrystalline and amorphous photovoltaic cells available in 240 and 245 Wc. The Panasonic solar module of the N320, N325 and N330 series are monocrystalline and amorphous bifacial photovoltaic modules equipped with HIT technology, designed for carports, shades or facades in architectural integration in the frame. This Panasonic solar module is a real technological and innovative asset for any solar project. Equipped with 96 monocrystalline and amorphous photovoltaic cells available in 320, 325 and 330 Wc.